The construction industry has a reputation for moving slowly when it comes to adopting modern technology and changing business processes. There are countless reasons on the road to believe that this is about to change and companies who don’t adapt and change will probably not survive. It is also a mistake to believe that the traditional large contractors will be the survivors as they have the financial muscle to transform their businesses. It could be argued that the larger the company the more likely they are to decline as they are more bureaucratic and less agile and slow to change. I believe this will be an accelerating trend, so what do we need to do to avoid being the next casualty? What are the trends and pressure points that we need to consider to be a champ in the future? The accelerating trend towards the adoption of construction-integrated industrialized and digital asset lifecycle are two areas that will have a game-changing effect on the construction and processes used in the industry. Ignore these trends at your peril. 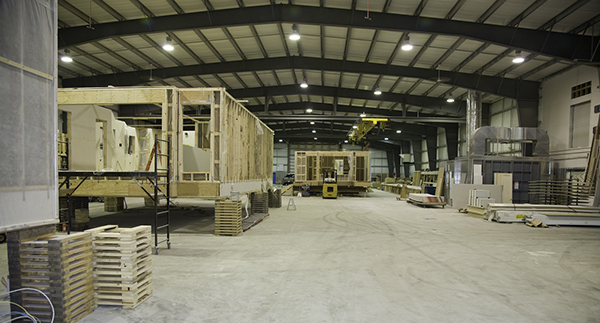 Construction-integrated manufacturing often referred to as offsite or modular manufacturing, is really gathering pace and involves industrialized modules or components in a factory, shipping them to the construction site and then installing these modules on site. It means integrating digital design tools such as building information management (BIM) into the development so that the modules are delivered to site without the need for change. The trade skills deficiency is also forcing this change on the industry as there is simply not enough labor resources to deliver the construction projects, therefore, construction-integrated manufacturing is one strategy that will help to reduce this huge capacity constraint. The move to construction-integrated manufacturing means new companies that are not players in the construction industry today are entering the market. In addition, this model will open the door to more foreign war entering your country. Construction sites are going to become more like final assembly operations. The industry processes and skills required to successfully deliver projects using this new model are very different from the ones that exist in most traditional contractors.